Microsoft’s acquisition of Xamarin last month was a big deal, but now we actually know what the company is actually planning to do with it. The biggest piece of news: Xamarin is now free for visual studio users. That includes Visual Studio Enterprise, Professional and even free Community Edition users. For Mac Users, Xamarin is making a free app available. 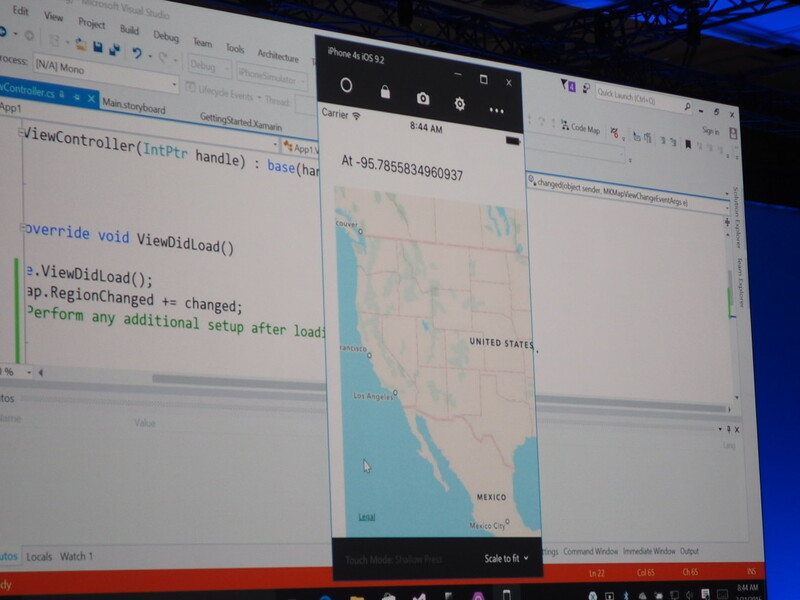 During the presentation, Microsoft also showed off a few new features for Xamarin, including an iOS emulator running straight off of Windows. And though it won’t have all of Apple’s frameworks, it’s built to look a lot like Xcode. Windows users even have an over Mac coders too: multi-touch support for testing mobile gestures. Another notable announcement: Xamarin is now open source and part of the .NET foundation. Speaking of, Unity, JetBrains, and RedHat are all joining .NET as it becomes open source and cross-platform. Microsoft is continuing its trends for Build 2016: trying to pull developers of all kinds away from OS X and Linux, and positioning Windows as the OS for open-source, cross-platform development.We’ll see how that works out for them, but these are definitely steps in the right direction.